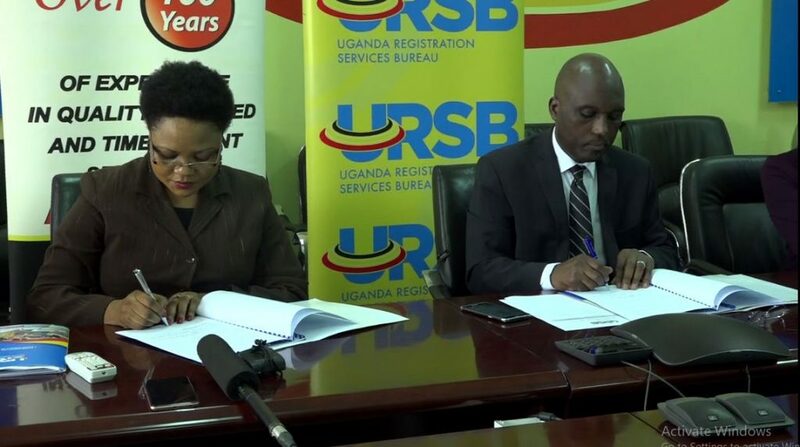 Ugandans seeking services of the Uganda Publishing and Printing Corporation (UPPC) will no longer have to move back and forth like the case has been just to have their intellectual property works to be registered by the Uganda Registration Services Bureau (URSB). This after the two government bodies (URSB and UPPC) signed a Memorandum of Understanding to enable a close working relationship. 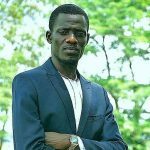 According to Bemanya Twebaze, the URSB Registrar general, the new development is to ensure that the public gets the vest service at the lowest cost possible. “Our everyday focus to find out, how do we make the journey of the customer easier without challenges? It is about how we do better. The client is interested in getting the services in the most economical way without incurring unnecessary costs”, said Bemanya at the MOU singing. Under this MOU, URSB shall allow UPPC designated staff at the one stop shop at URSB so that clients will have their works received under one roof other than moving back and forth. UPPC shall be required to provide requisite staff to work in consultation with URS to enable effective realization of the objectives in the MOU. Both parties shall as well participate in performance review meetings. Irene Muwanguzi is the UPPC executive director who acknowledges that a number of government corporate bodies still work in isolation much as they serve the same public yet this does not add value in any way but rather leads to unnecessary costs. “We have worked in isolated place much as we are like minded. When we work together we shall deliver better services to the citizen, make business easy for Ugandans and curb the forgeries which have continued to see in our service delivery” noted Muwanguzi, adding that by this time, the corporation is in court to bring litigation against people who are forging the gazed which is done in different places like Nasser road yet it’s a legal document which must be protected by all means. 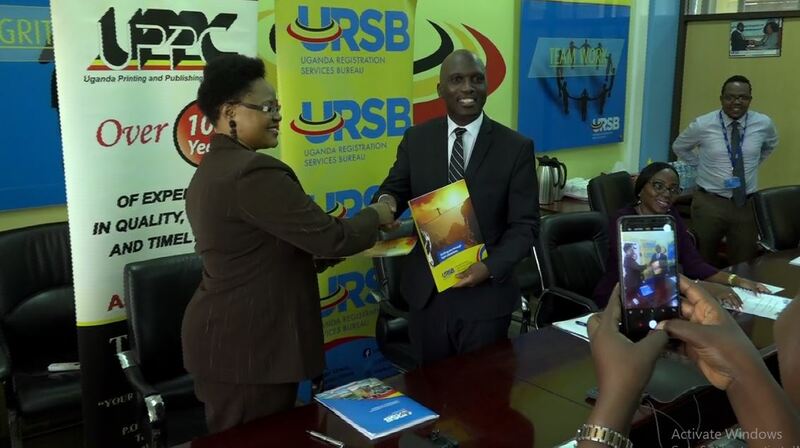 The signing of this MOU between URSB and UPPC comes at the time when URSB is unveiling numerous reforms to ensure ease of doing business as advised by the World Bank group which continues to encourage government bodies to increase their efficiency in service delivery, a move which will lead to the growth of the economy without leaving anyone behind. “We are addressing competitiveness; we are competing for space for investors. We are also working hard to reduce the perception of corruption when it comes to service delivery and working together is the way to go”, affirmed Bemanya. 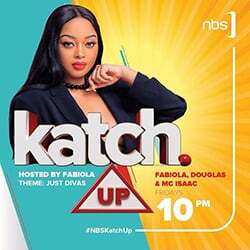 For any Intellectual Property (IP) to be registered by URSB, it is statutory that such IP must be gazetted in the Uganda gazette which is managed by UPPC by law.